You know that DevOps and CI/CD speed up development and lower costs, but Application Lifecycle Management takes those gains even further. 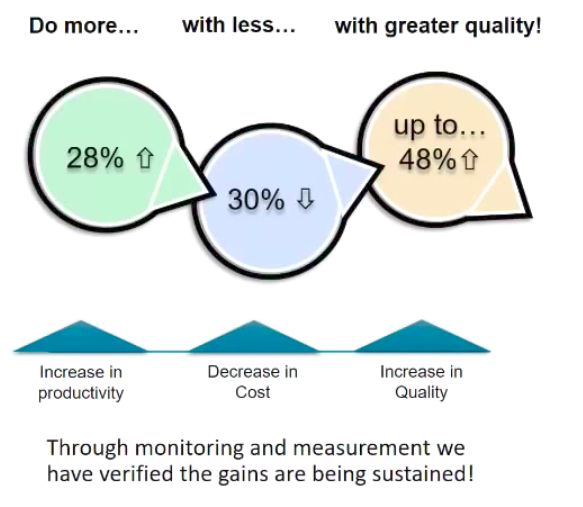 Doing more with less with greater quality. Fannie Mae started implementing DevOps in 2014, and Barry was in the middle of it from the start. He gave his talk at the end of 2016, and, as he said, they still aren’t fully adopted (are you ever), but he gave a status and a comparison between where they were and where they are now. According to Barry, these results are being sustained - they are not just a blip. To get there, they had to get an appetite for risk. Overcoming that hurdle required them to realize when you do 100% risk mitigation, you are going to spend more time avoiding risk than it would take to mitigate something. They are also executing Application Lifecycle Management (ALM), a step up from CI/CD. They look at all of the tools and processes along the lifecycyle, peer reviews, automated building, testing, etc. They are implementing automated processes with a variety of tools to achieve this. 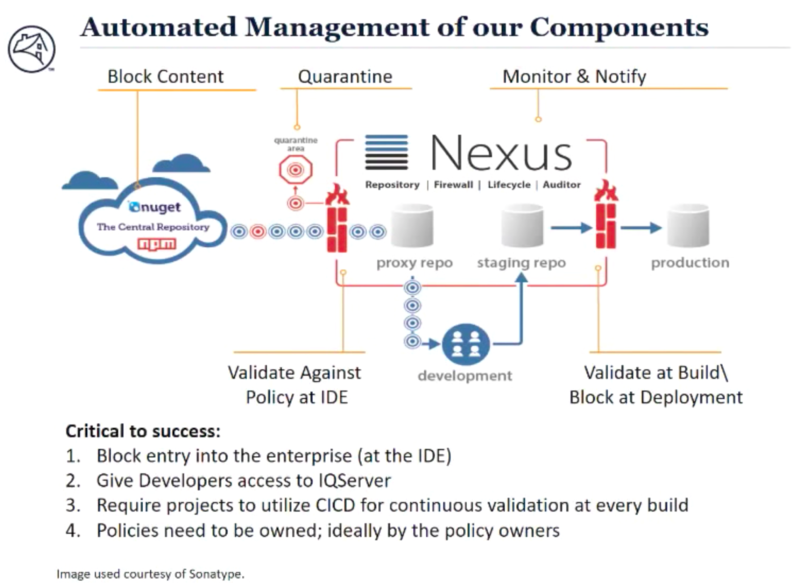 As an example, at Fannie Mae, it previously took 5-6 weeks to request a library, now it is immediate because it is automated through Sonatype’s Nexus. As we hear from all practitioners, it is a journey, not a sprint (pun intended). Fannie Mae started at the end of 2014, and they are still in progress. They went from 9-18 months per deployment to a month on a consistent basis. They are close to always deploying during sprints, and are working towards having an idea, writing code, and releasing it into production. Automate Oversight/Transparency - You can’t do this manually. With 120 apps, there were 8,000 libraries not accounted for. Portfolio Analysis (Risk Reduction, Quality, ROI, Cost Reduction). Application Quality is a Supply Chain. Trust developers and get out of the way. You can watch Barry’s entire talk online here. If you missed any of the other 30-minute long presentations from All Day DevOps, they are easy to find and available free-of-charge here. Finally, be sure to register you and the rest of your team for the 2017 All Day DevOps conference here. This year’s event will offer 96 practitioner-led sessions (no vendor pitches allowed). It’s all free and online on October 24th.